Not only are these Baucher Horse Bits made of high quality German Silver they will also provide maximum comfort for your horse. 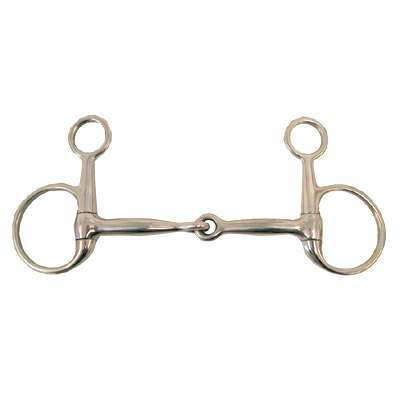 This Snaffle Bit is also made of pure solid german silver which is made to last a lifetime. This German Silver Baucher Snaffle Bit measures 2'' rings and 12mm mouth. This dressage bit creates various amounts of poll pressure as it hangs from the headstall. If you are looking for excellent quality Horse Baucher Bits you came to the right place. Here at Horse Tack Now we strive to offer the finest bits availiable.